Undeniably the most popular event of recent years, the VetShopAustralia Surfing Dog Championships will return to the shores of Laguna Bay this March for a weekend of canine capers and hydro hounds. Main Beach and the natural amphitheatre of First Point will doubtlessly be packed once more as spectators flood to see the happy pups in this completely free event. ‘Mr DogSurf’, Chris de Aboitiz will again lead the pack, bringing his ever-faithful rescue dogs with him, his best mates Max and Rama sure to steal the show. Always with a trick up his sleeve, Chris will come with new stunts and surprises, bringing with him his hydrofoil-mounted surfboard which, conditions allowing, will elevate he and his canine companions above the waves in a spectacular display of hydrodynamics. While First Point will host the star attraction, VetShopAustralia and Chris’ participation in the Noosa Festival comes once more with greater purpose, offering dog training tips and a free workshop for those wishing to hone their skills and improve their connection with their four-legged friends, both in the water and on terra firma. Chris has rehabilitated numerous rescue dogs and is always quick to encourage people to adopt, rather than buy from pet stores or breeders, suggesting that there is no such thing as a bad dog, only a bad dog owner, and that, with the correct training and nurturing, any dog can become a loving, well-behaved family member. 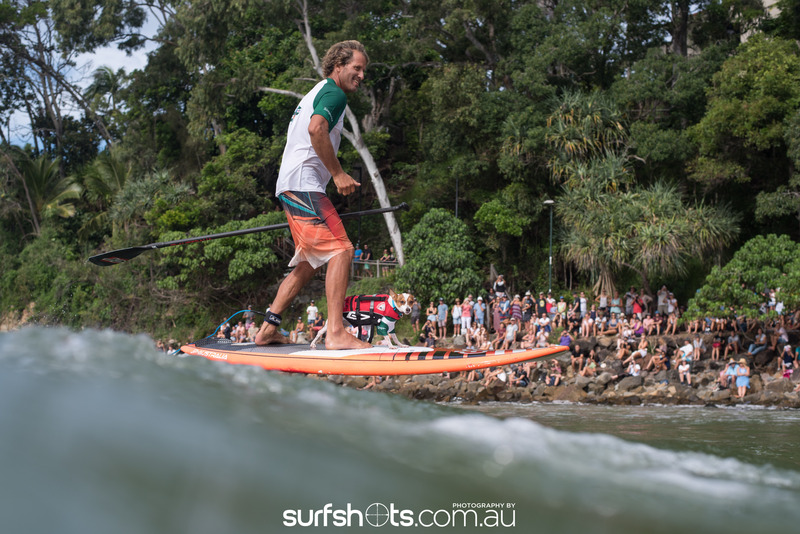 The 2019 VetShopAustralia Surfing Dog Championships will take place on the first weekend of the Noosa Festival of Surfing, with the free SUP with Your PUP workshop – open to general public – being held on Saturday 2nd March at 7:30am Noosa Woods Dog Beach, while the Surfing Dog Championships will take to the waves the following day, Sunday 3rd March, at 2pm at Noosa’s First Point.